Penn volleyball must conduct yet another coaching search after their head coach took a job at Penn State just one year into her Quakers tenure. Penn men's basketball sits at No. 92 in the latest national Rating Percentage Index (RPI) rankings, which came out on Monday. RPI seeks to compare the nation's many teams by taking into account the massive variety in strength of schedule when looking at wins and losses. Before we say auf Wiedersehen to Swamis 2017, we must give thanks. With the way things played out during Penn football's 23-6 win over Harvard this past weekend, it's no surprise that some hardware is headed the Quakers' way. And it's even less surprising that Penn's two award winners did their work on defense and special teams. 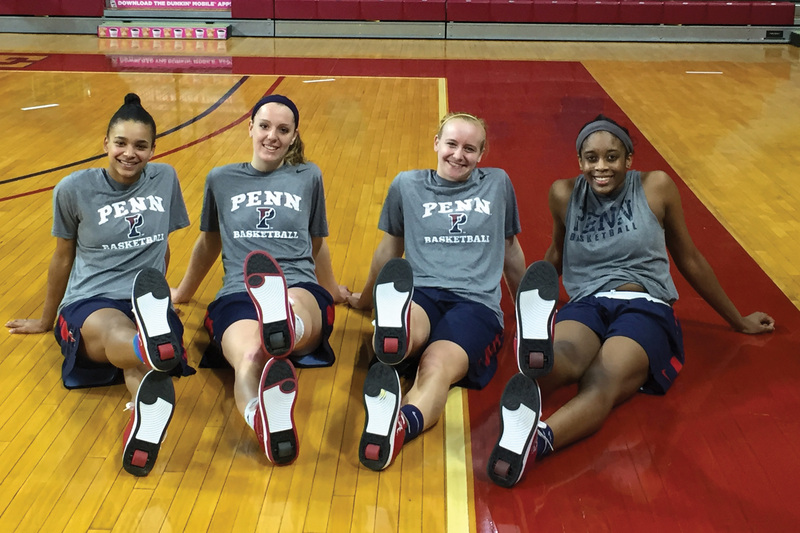 The next time Penn volleyball takes the court, things will look quite different. Today is pretty much all about our wonderful Penn Basketball preview, but we barely squeezed in Swamis. And I mean barely. William left it off the story list. 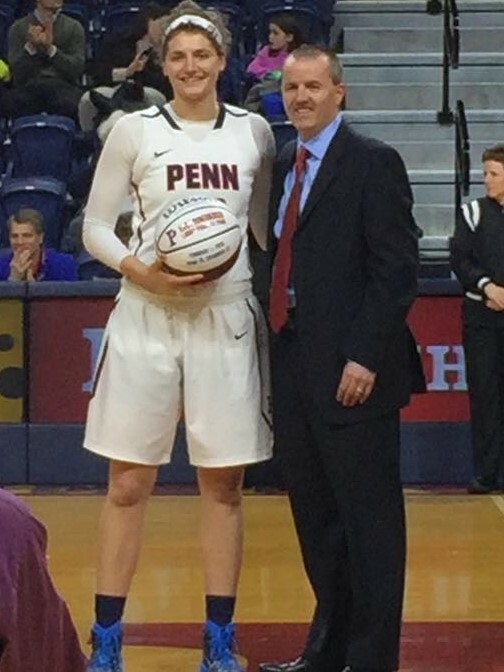 After a breakout sophomore season in 2015-16 that saw her become a key piece of the Quakers' starting lineup, Lauren Whitlatch entered her junior season expecting to be a key piece for a Penn women's basketball team which hadn't lost a single rotation member to graduation the year before. But the Quakers' plan of having the same starting lineup for two seasons straight was derailed in January, when Whitlatch tore her anterior cruciate ligament (ACL) in practice. SWAMIS Week Eight: Puck Frinceton! Penn football's title hopes are less than spirit, less than the meanest ghost... but still, they are alive. Until this season, Furrer had spent her entire Penn career — and her entire life — as an outside hitter, one of the players whose job it is to go up in the air, spike the ball with authority, and finish off as many points as possible with a devastating attack. Now, everything has changed for the redheaded Texan: her position, her role, her stats, her spot on the court and even the color of her jersey. SWAMIS Week Seven: It's the Toilet Bowl, Charlie Brown! I'm not disgruntled. Losing happens. But I wouldn't call myself gruntled, either. And if Penn loses the Toilet Bowl this week, I'll definitely be disgruntled. In a season full of highlights, which moments stand out thus far? Throughout the fall season, there have been spectacular individual and team performances for Penn Athletics. Our editors debate which moment sticks out most to them. SWAMIS Week Six: Penn football needs a "Dubya"
SWAMIS Week Five: It's a Trap Game! Reader, have you ever heard the tragedy of Darth Bagnoli the Wise? Halfway through the fall season, who is Penn Athletics' MVP? As we hit the midpoint of the semester, all of Penn Athletics' fall teams now have their seasons underway. Many players have stood out with strong starts to their campaigns, but who has been the MVP thus far? Our editors tackle the question below. In college athletics, every new season brings plenty of new faces and, more painfully, a host of goodbyes. But this was not the case last season for one Penn team, a rarity which will make the end of this season all the more bittersweet. Did I lie to you all last week, when I went against my 15 fellow Swamis and said Penn would lose? I wouldn't call myself a liar, but I wouldn't call myself a truther. SWAMIS week two is here, and with it comes all the predictions and spice you need for week two of Penn football. Penn volleyball won two out of three this past weekend at the Robert Morris Invitational, bouncing back from a tough loss against Rutgers with wins against Robert Morris and Middle Tennessee State. SWAMIS! A tradition as old as the Earth itself. And now, for the first time, you can experience it online. Click at your own peril. Penn softball coach Leslie King spent the weekend across the Pacific Ocean in Wellington, New Zealand, where she was inducted into the Softball New Zealand Hall of Fame on Sept. 2. The Quakers earned a couple of pieces of hardware on the diamond last week. Meg Markham of Penn women's lacrosse just keeps adding to her long list of accolades. We get you caught up on a busy Ivy hoops slate from over Thanksgiving break. 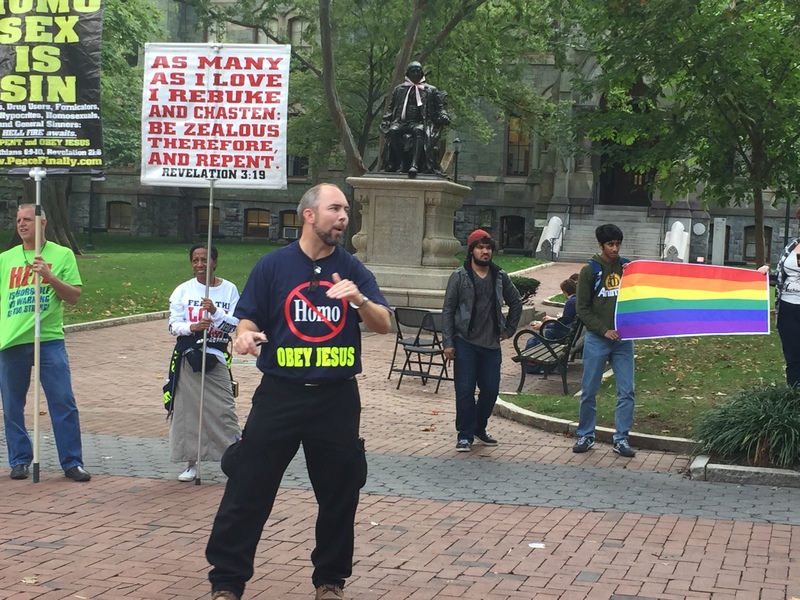 Last weekend's games saw most of the Ivy football teams dominating or being dominated, with Penn falling towards the latter category with a 31-13 defeat at Dartmouth. Let's see how the other teams in the league fared.